Our current research takes us back to 1932, where we find The Gramophone Depot, although we do expect to find it floating around much earlier too. 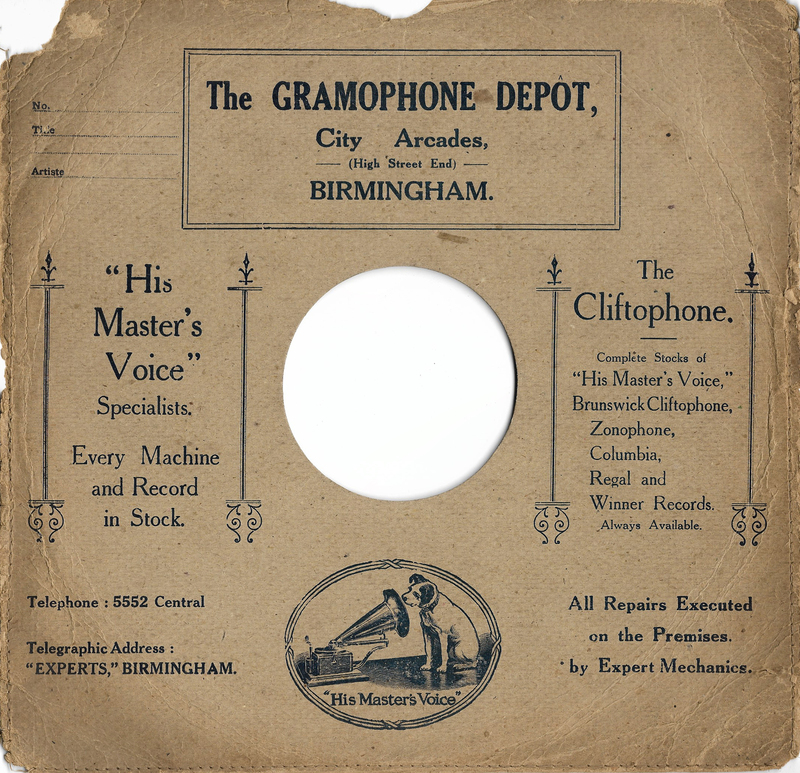 As with all Gramophone dealers of the time, you would have expected to find vinyl on sale. 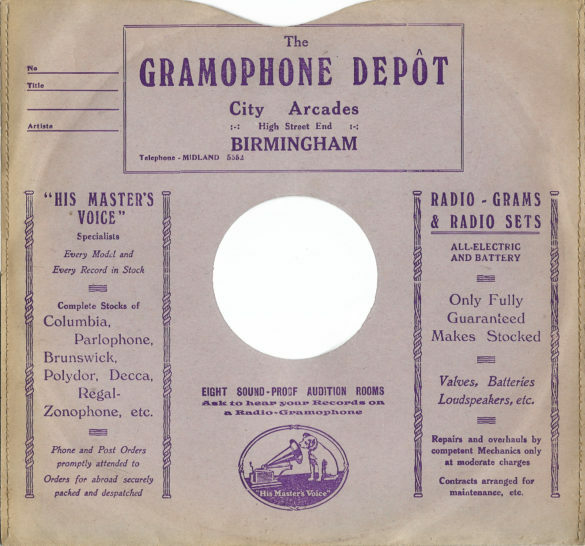 What is different about this shop is we note their inclusion to the Birmingham Trades listings as ‘Gramophone Depot (The) (records), 29 City Arcade – suggesting it may have been just records on sale and not the means to play them. 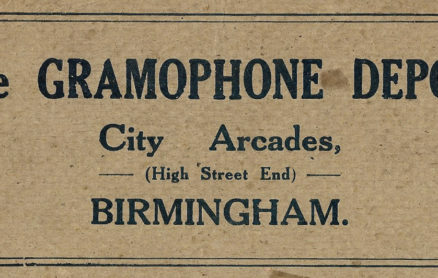 It is then in 1941 that they move location to 59-61 Corporation Street B2 c/o Scotchers Ltd. We understand that to be a record shop within a Gramophone shop under different names. That won’t be the last time we see that happen, but was it the first? Remember WWII is in full swing at this time. 1943 sees yet another change to their listing. 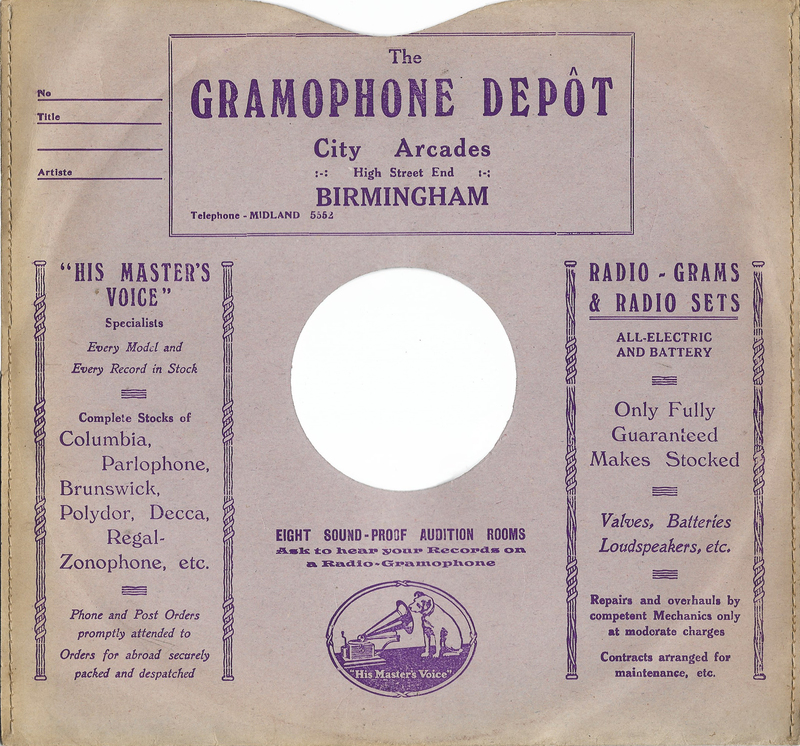 ‘Gramophone Depot (The), gramophones, records & radio specialists c/o Scotchers Ltd.
1944 the Gramophone Depot name disappears altogether with Scotchers remaining. So was the record shop dissolved into Scotchers? It does seem highly likely.